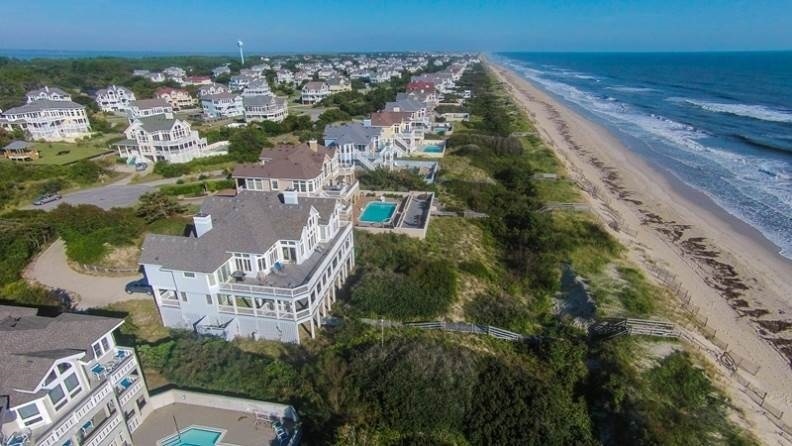 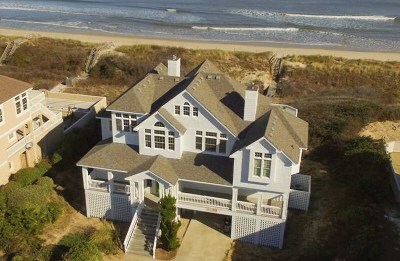 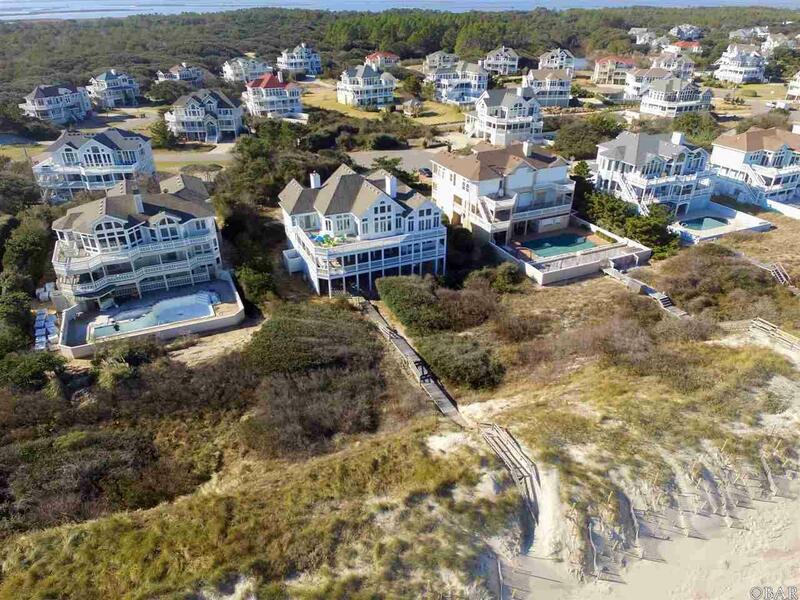 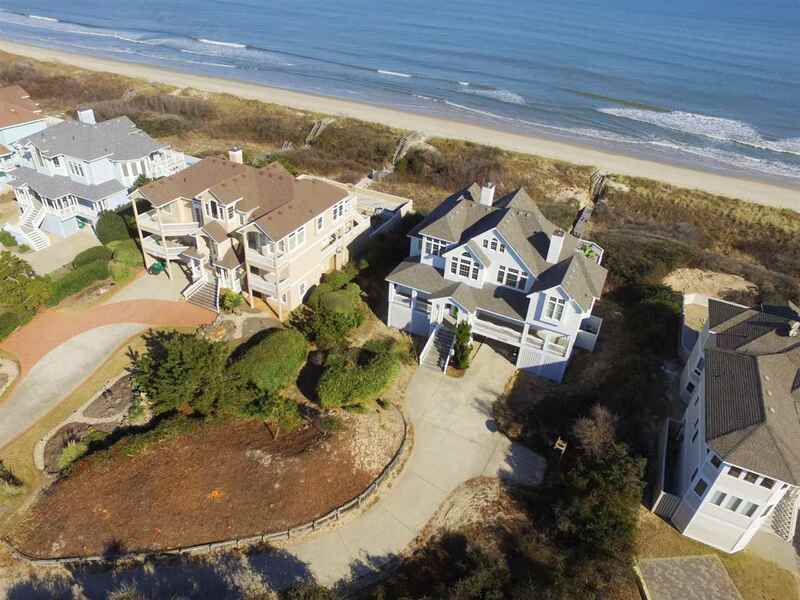 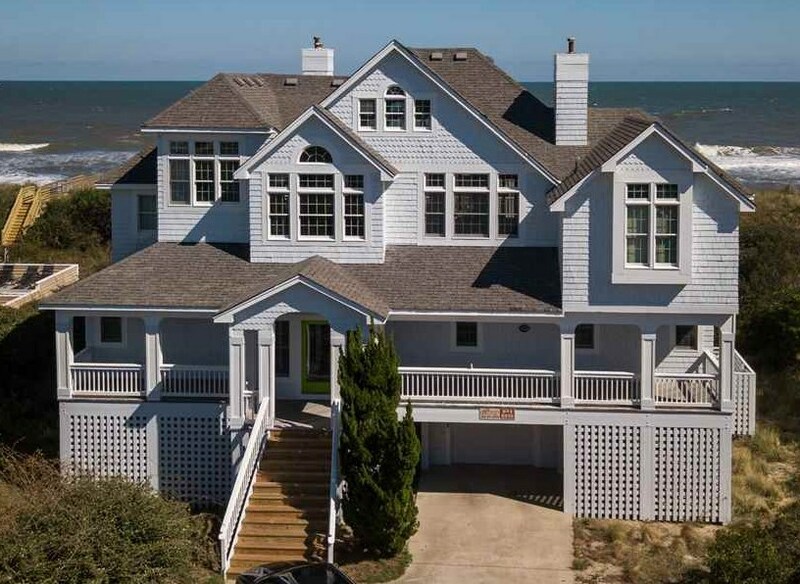 This FIVE STAR ELITE oceanfront vacation home in prestigious Pine Island is the beach house you've always wanted . 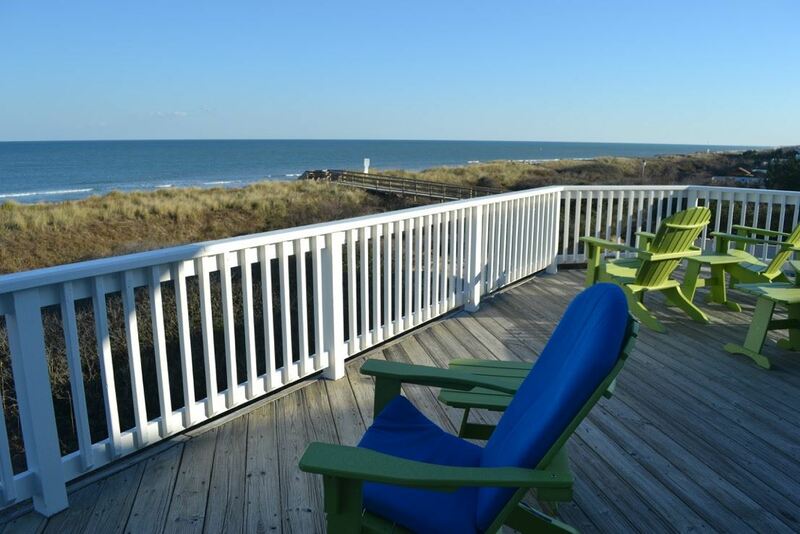 Its cul-de-sac location and private walkway to the beach ensure you a crowd-free reserved spot on the beach. 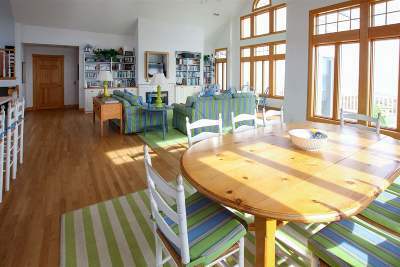 Inside, the house is expansive and bright. 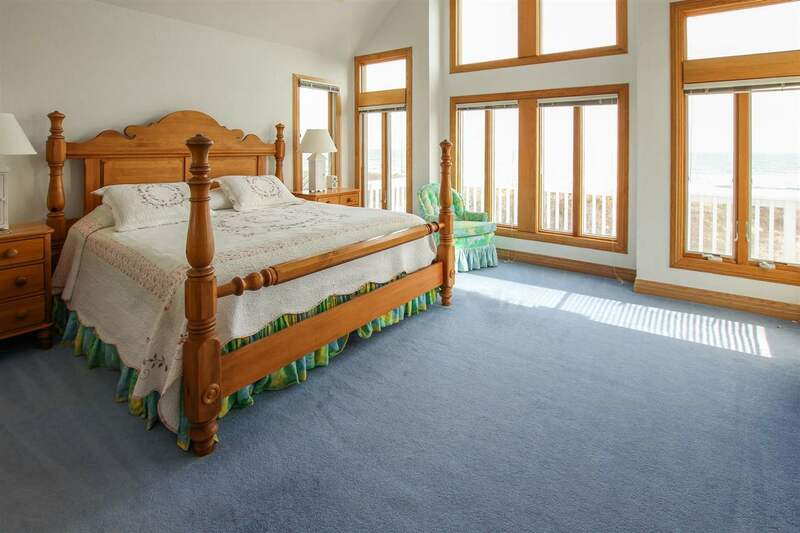 It has SIX generously sized bedrooms and 5 and a half baths. 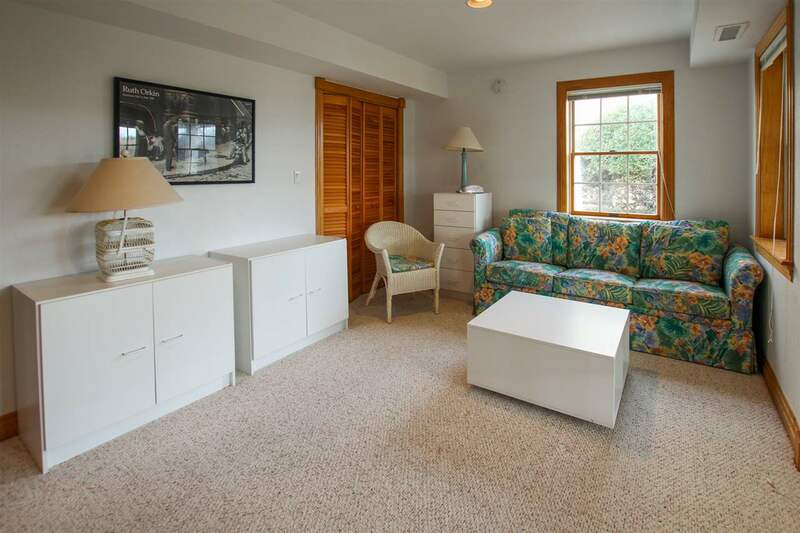 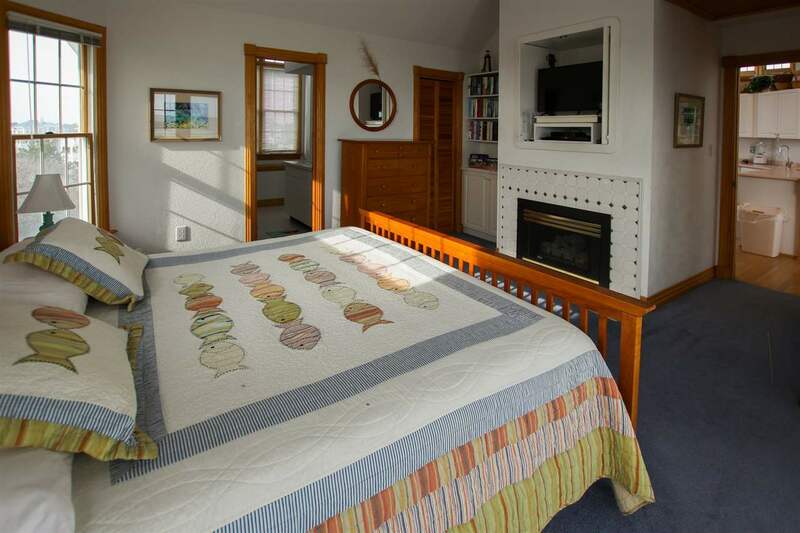 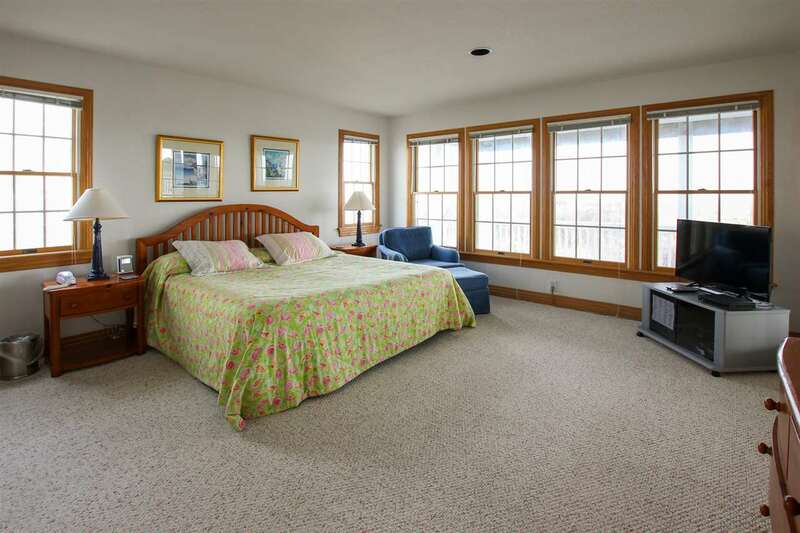 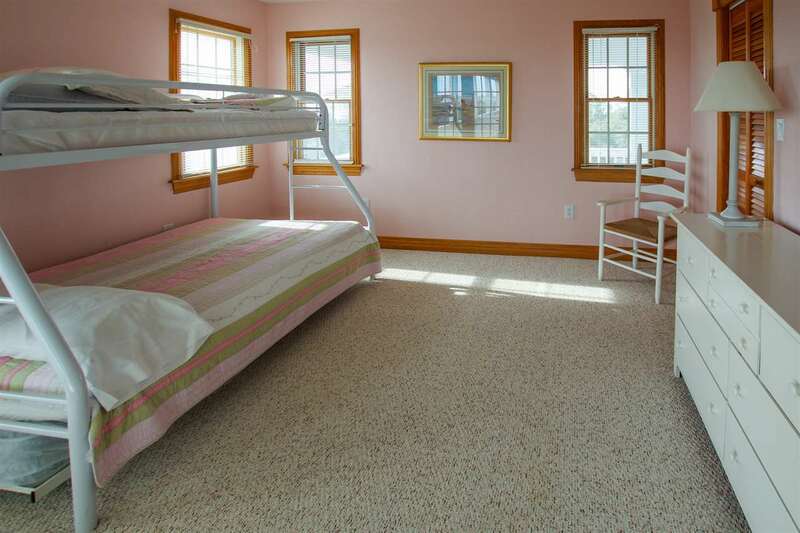 There are two spacious top floor master bedrooms, each with a fireplace. 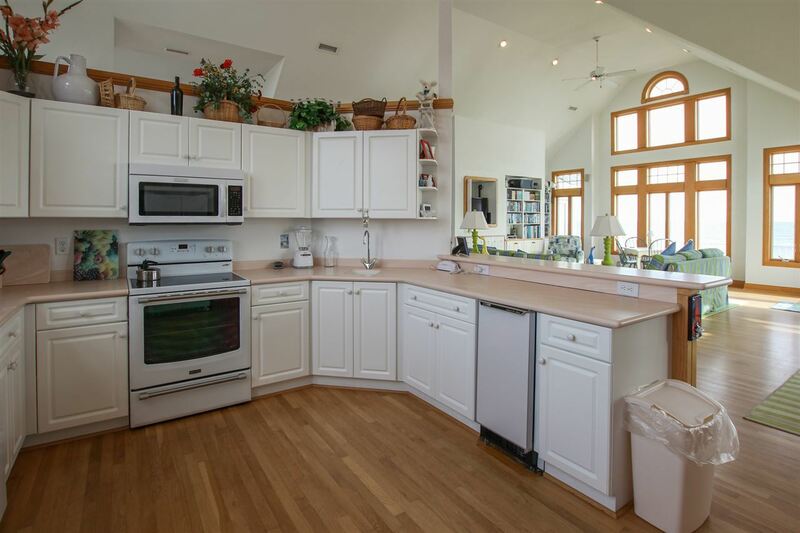 The upstairs living area and kitchen are bathed in light thanks to the floor-to-ceiling panoramic windows and a cathedral ceiling. The top floor living area is finished with oak hardwood floors. 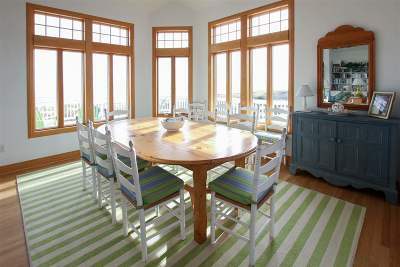 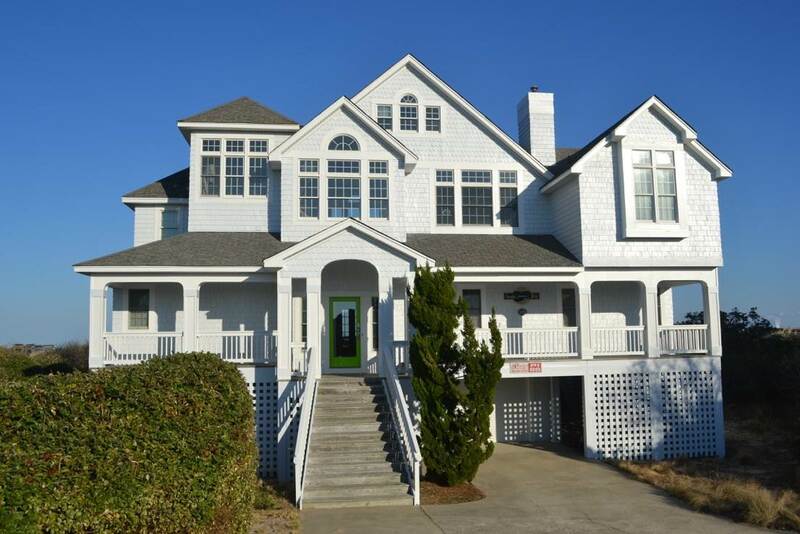 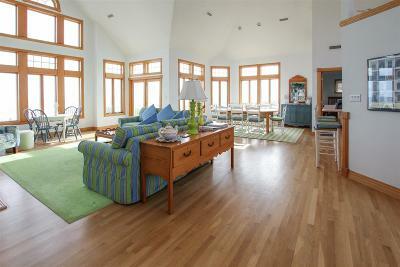 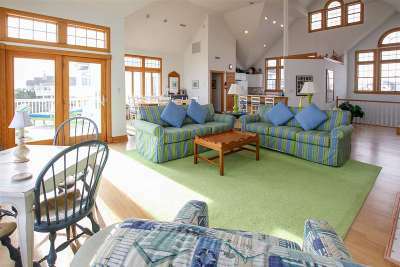 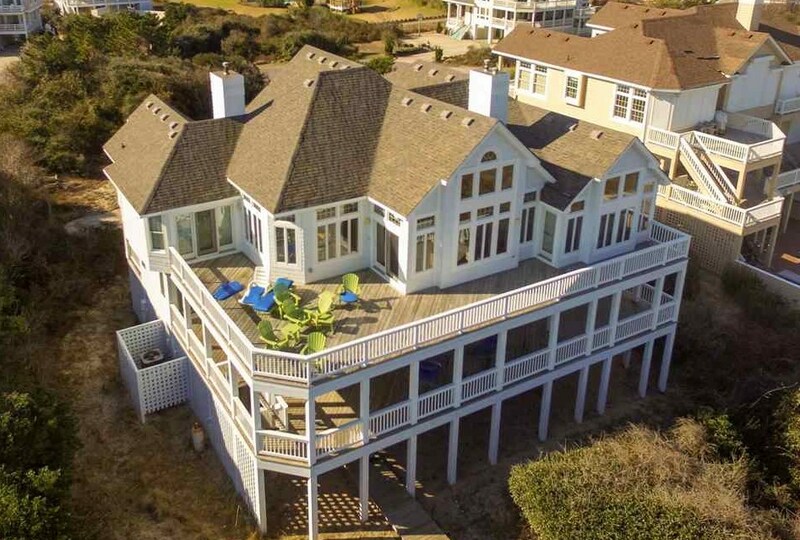 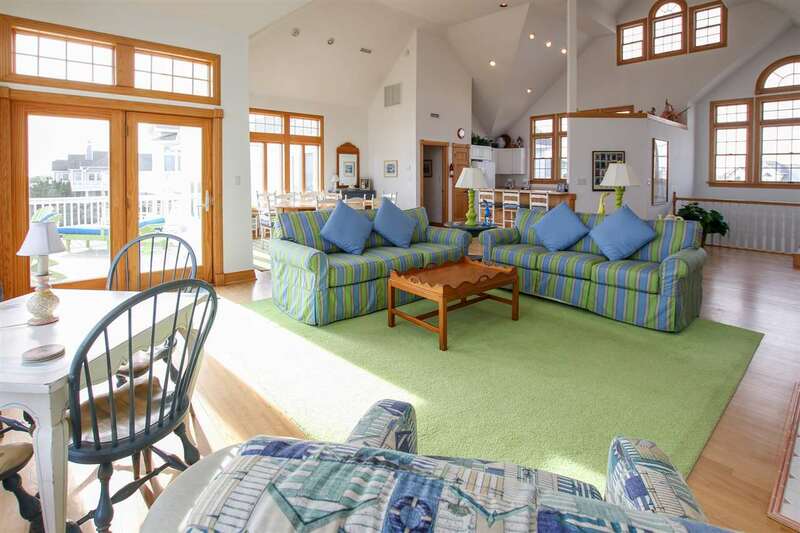 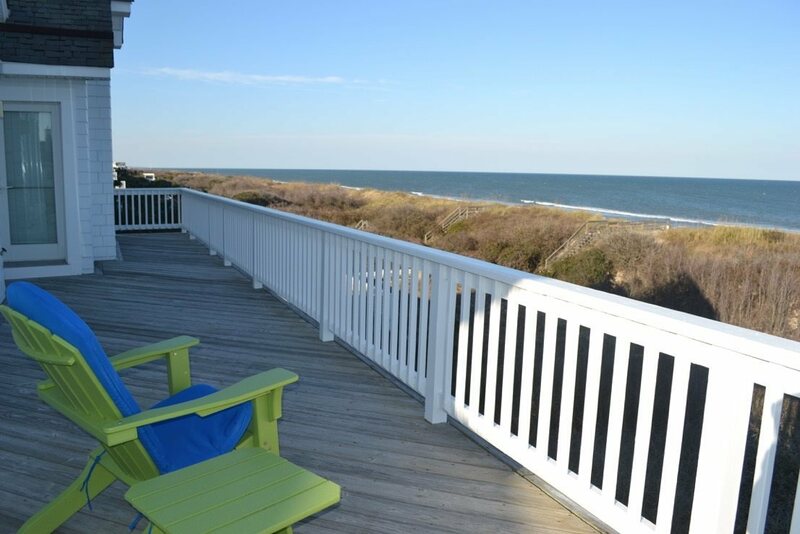 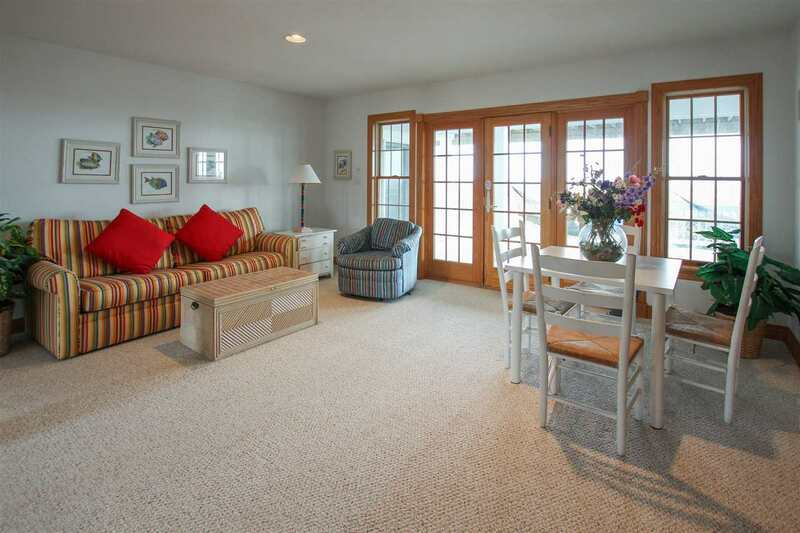 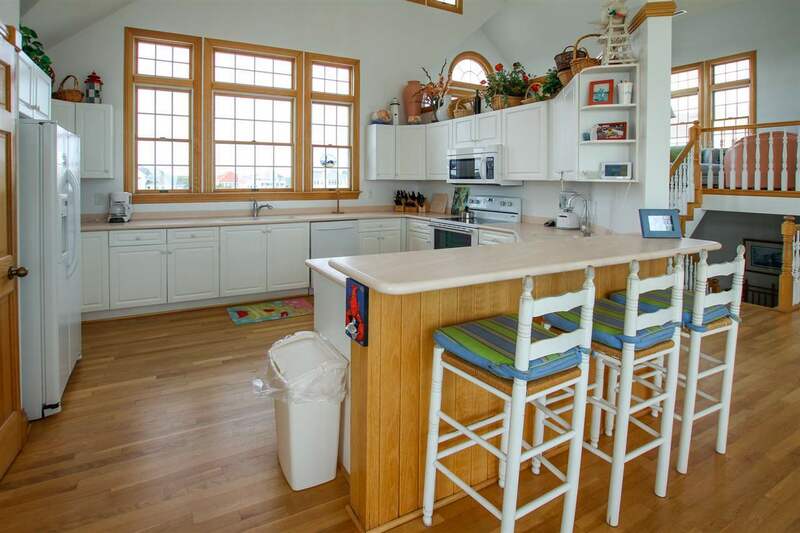 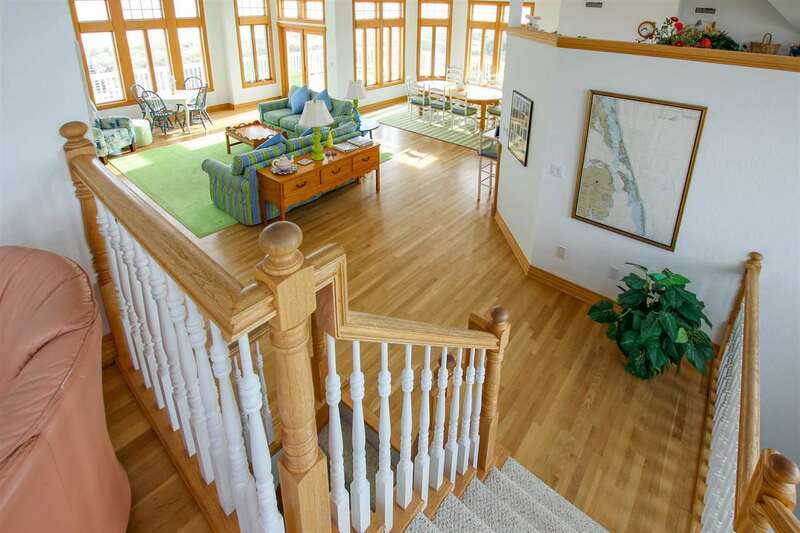 Enjoy stunning ocean views from the inside or sunbathe on the wide upstairs deck. 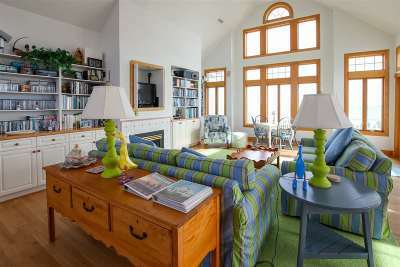 Raised above the living area is a cozy loft that could be used as a quiet reading place. 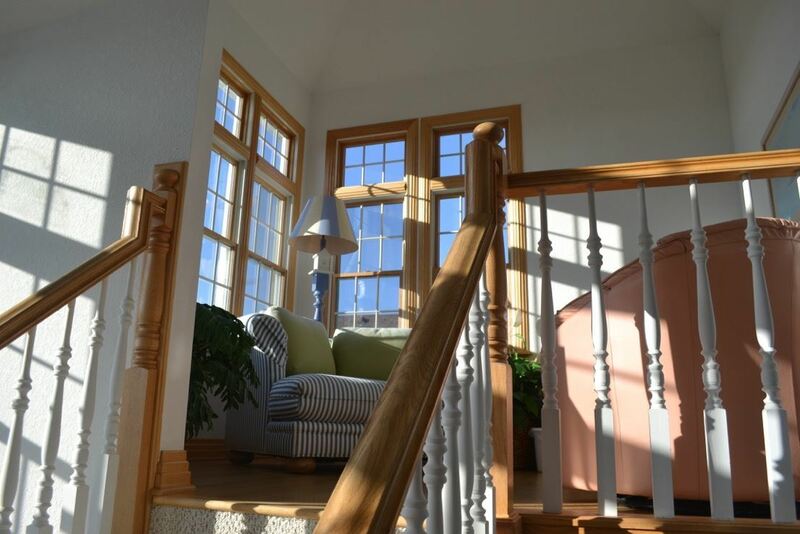 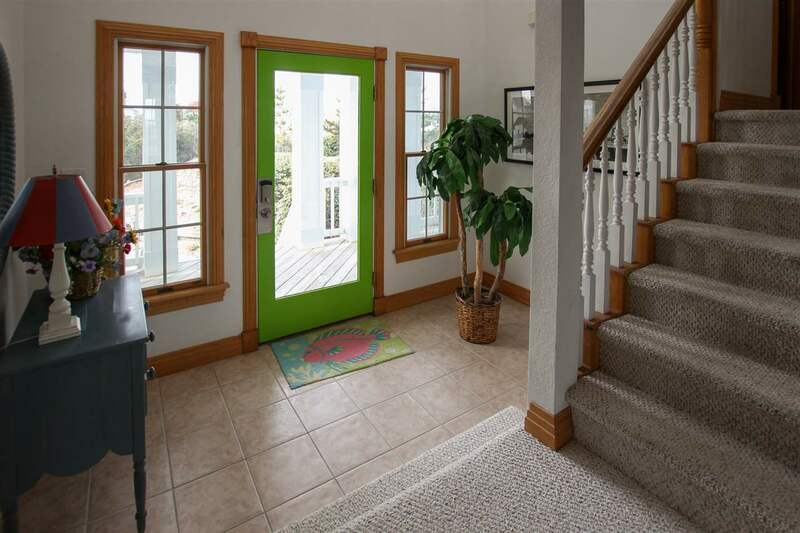 The second floor welcomes you with a large double-height foyer. 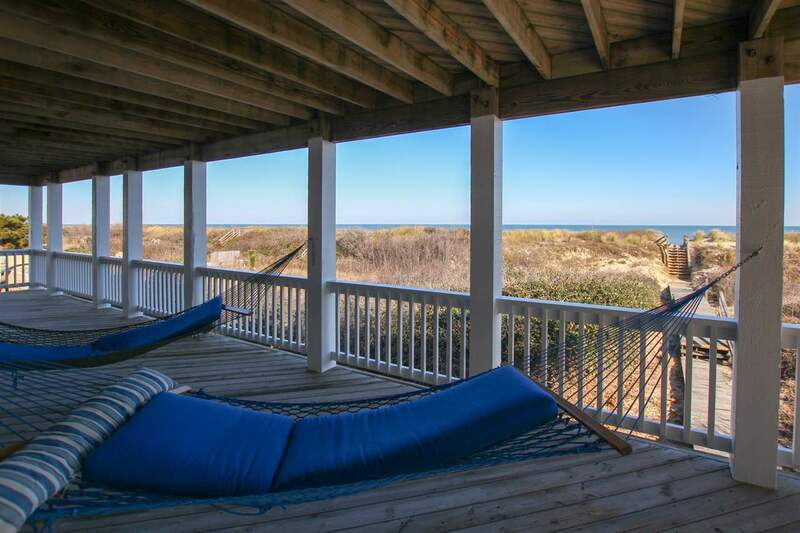 The wide covered decks offer unobstructed ocean views. 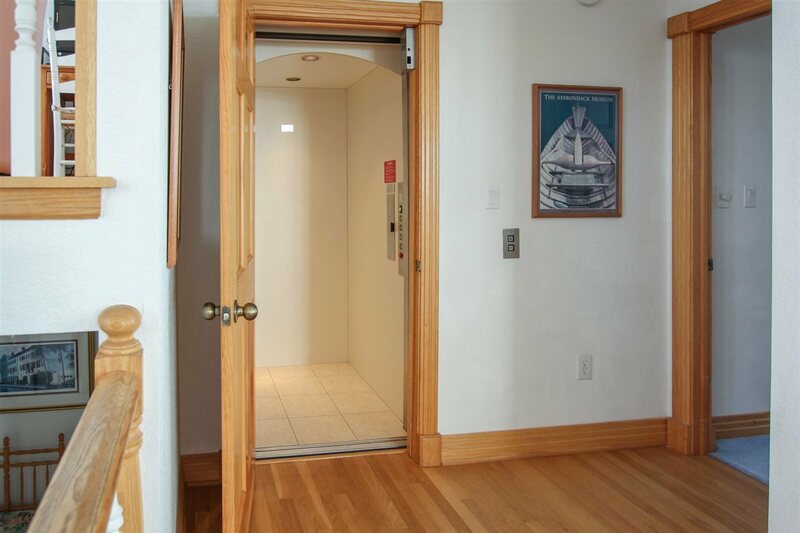 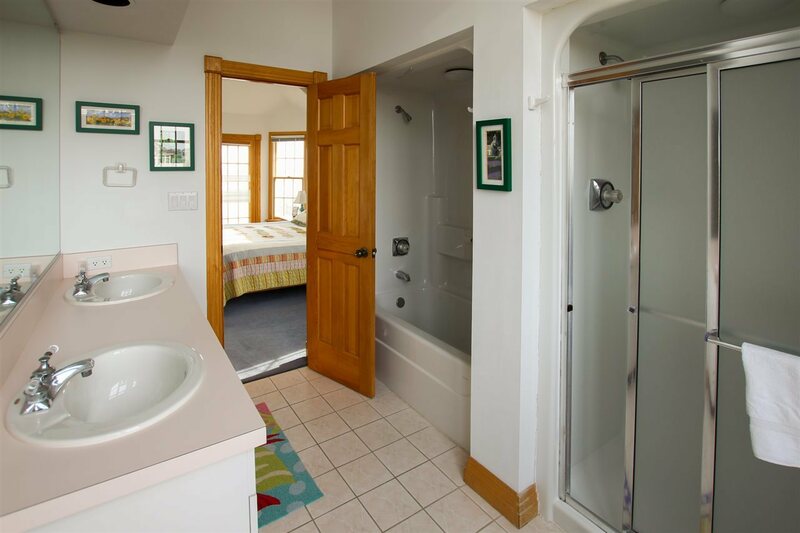 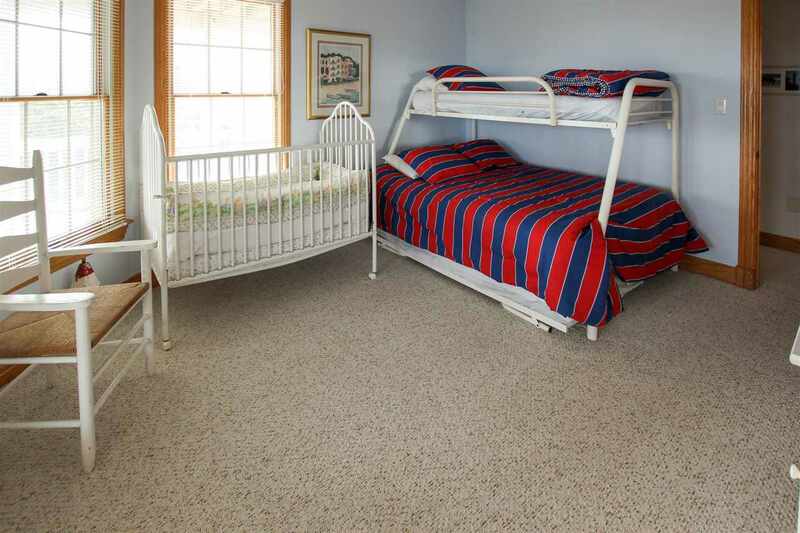 There are two large bedrooms with bunk beds and an extra guest room on the second floor and a sixth bedroom with full bath on the first floor. . An elevator connects all three floors. 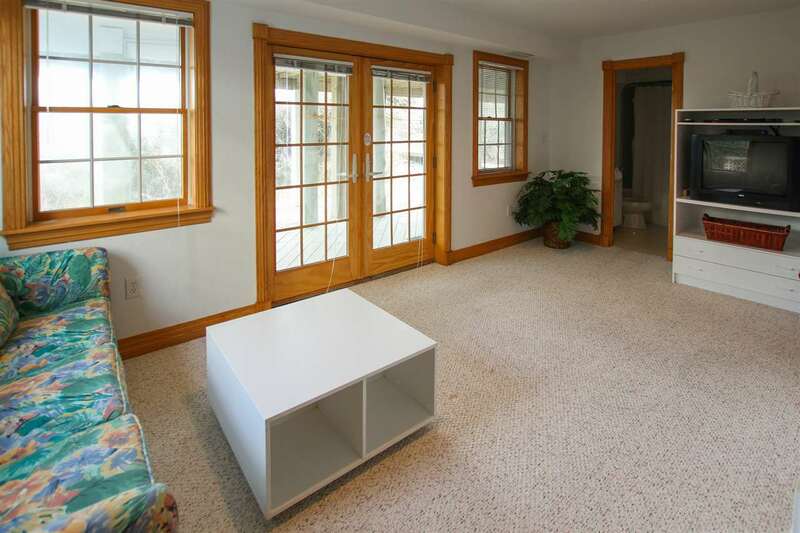 Throughout the house, there are large walk-in cedar-lined closets, built-in cabinets, and shelves. 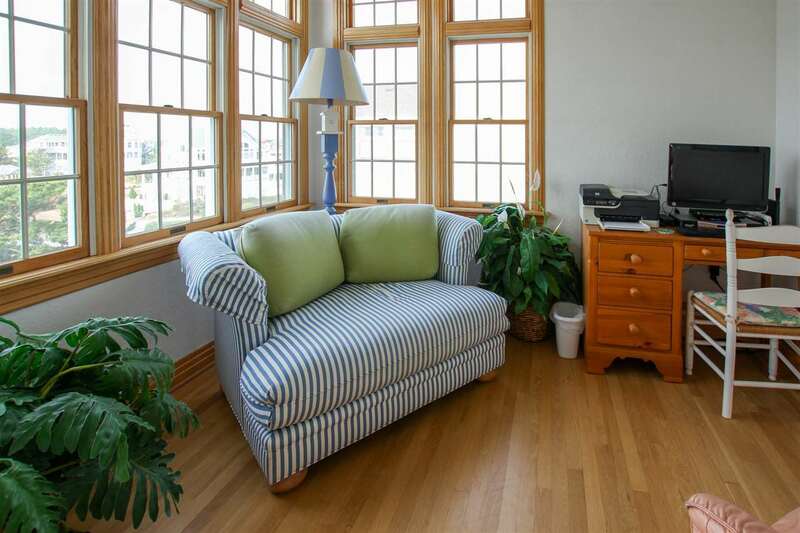 The home has been meticulously maintained by the original owners. 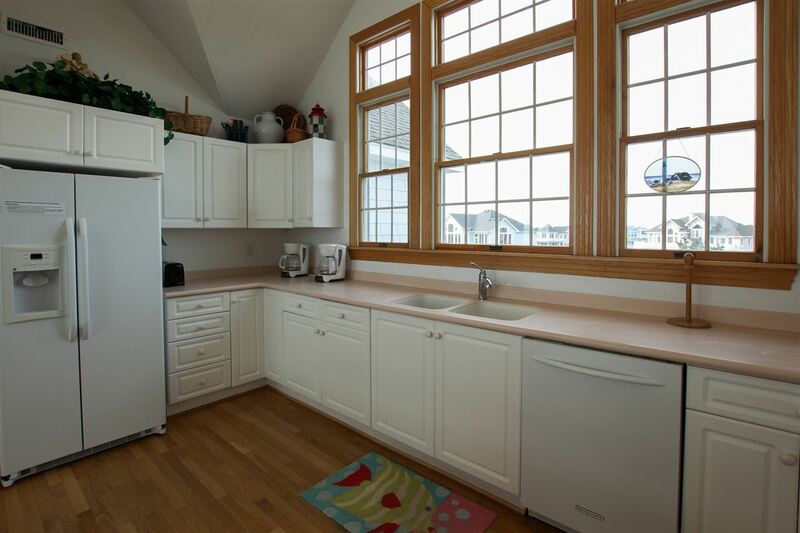 Brand new HVAC systems were just installed and the house was just freshly painted inside and out. 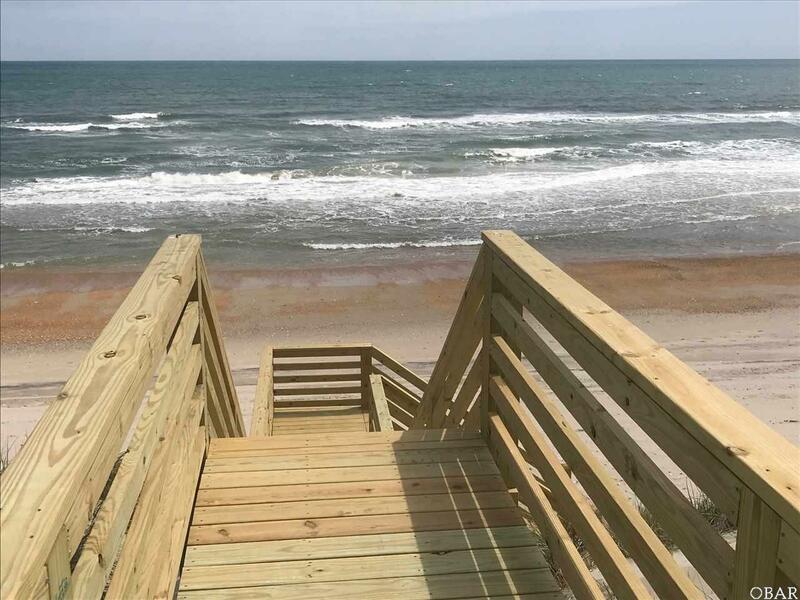 The home site has room for a swimming pool, but a pool might not be necessary when the ocean beckons you, a short stroll on your private walkway to the beach. 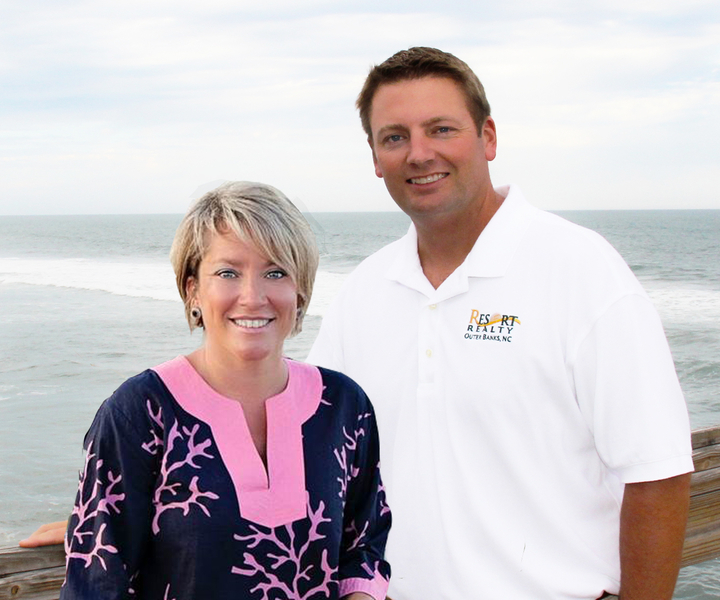 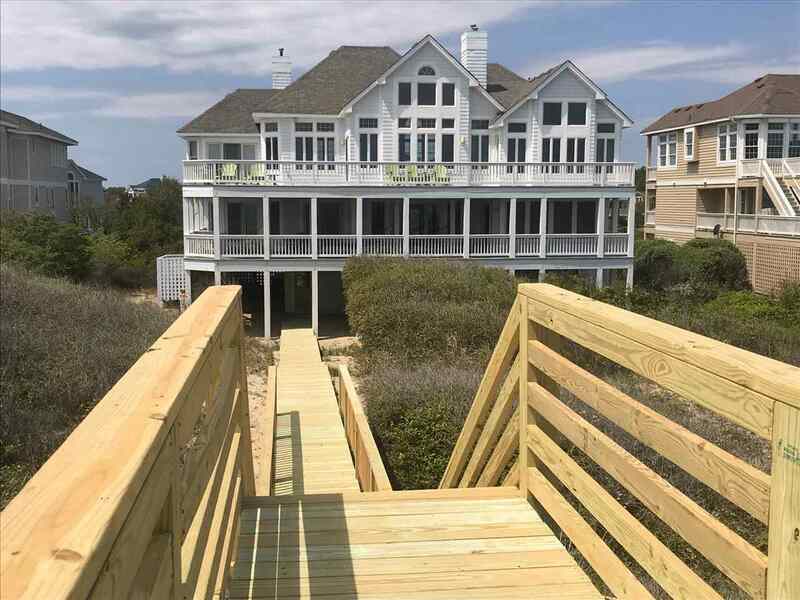 Deck walkway, landing, and dune stairway improvements valued at $20,000 were just completed. 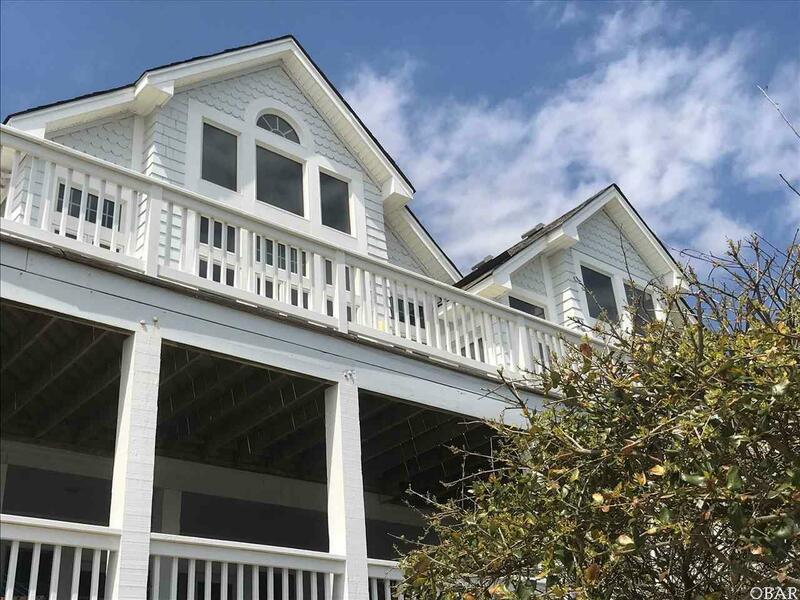 This home would be the perfect second home for a family that desires a quality beachfront house with large bedrooms and spacious living areas. 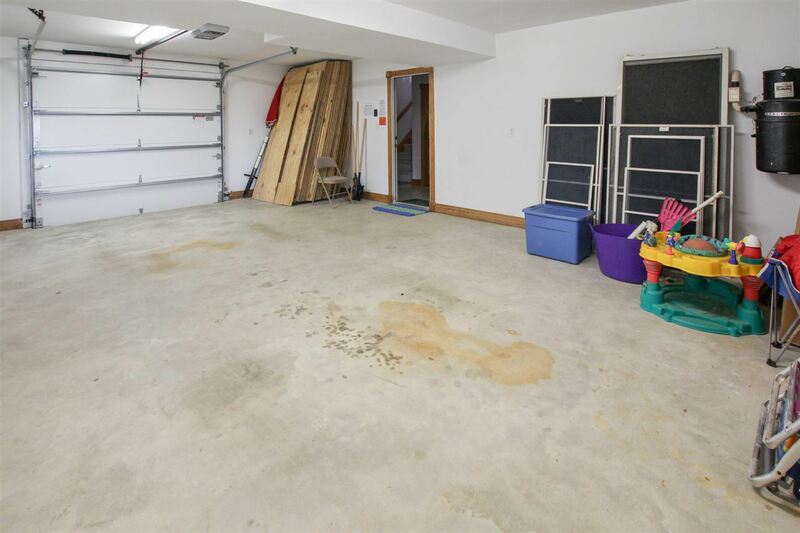 Note: new floodmaps classify this home in the X zone so insurance costs are greatly reduced.